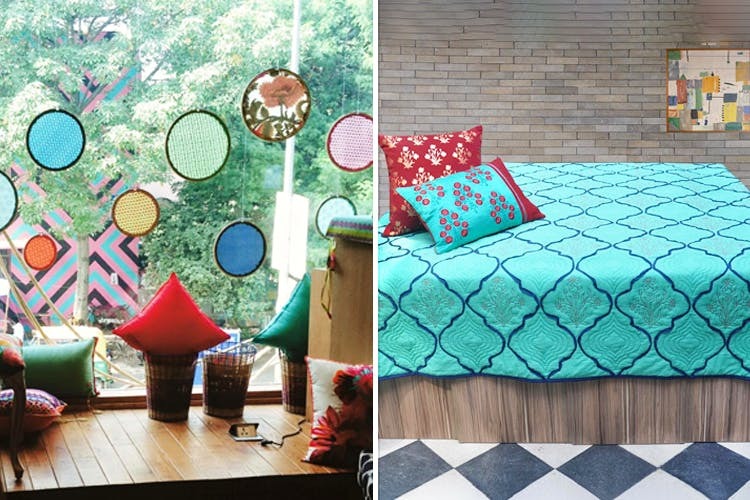 We stumbled upon Nur, a home décor store in Meherchand market, and immediately fell in love. Their products are timelessly versatile, warm and comforting. Perfect, if you want a little bit of summer in your home all throughout the year. From accessories to furniture, they have everything to give your home a sweet quirky mini makeover. We especially love their cushion covers and bathroom accessories. In case you want to add more seating space, check out their adorable poufs and stools too (they're not the boring wooden kind). Besides the home stuff, they also keep some funky footwear (for both men and women) and cutesy clips in the shape of doughnuts, butterflies, cupcakes and bees for little girls. If you ever find yourself in Meherchand market, be sure to drop by this store. While they do have a website for people to get a better sense of their products, you can’t place your orders online, which is a bit redundant.